« PreviousWhy did Larry Ellison, Jerry Yang, and the founders of Pinterest, Yelp, Fitbit, and Opower all take the stage at a hotel in Tokyo this week? Articles and books on Japanese business culture are often outdated, incorrect, or grossly overgeneralized. Many purported “Japan experts” have limited negotiation experience in Japan and America, don’t speak Japanese at a business level, or just aren’t very good at distilling lessons from their own experiences. As someone who has negotiated in English and in Japanese both on behalf of and opposite Japanese companies large and small in a variety of circumstances, I want to set the record straight on a few stubborn points of misinformation that just won’t die. Below are five popular—and incorrect—myths about negotiating with Japanese. Myth #1: Japanese will delay negotiations to pressure you into conceding important issues. The problem with this statement is that it doesn’t explain the whole picture. Forced delay is a classic negotiation tactic that negotiators use all over the world, and of course some negotiators in Japan also use strategic delays to their advantage. However, a lack of speed on the part of the Japanese counterparty is often mistaken for a negotiation tactic when it simply reflects the company’s regular process for making important decisions. A lack of speed on the part of the Japanese counterparty is often mistaken for a negotiation tactic when it simply reflects the company’s regular process for making important decisions. If tactics aren’t the cause of slow corporate action, what is? Primarily two factors: (1) shared responsibility and (2) the internal corporate approval process. 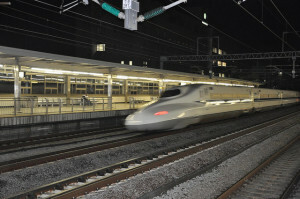 In Japan, the bullet trains are fast but corporate decisionmaking usually isn’t. At most large companies in Japan, it’s unusual for individual employees to be assigned sole responsibility for a major, discrete portion of a project. We Americans usually like to divide up large projects into component parts, make specific people responsible for specific parts of the project, and then emphasize individual accountability. This not common practice at large Japanese companies. Accordingly, a larger number of people are expected to deliberate and weigh in on important decisions before those decisions are finalized and communicated externally. This, of course, takes longer than simply having a small number of people make the decision and bear responsibility for the result. 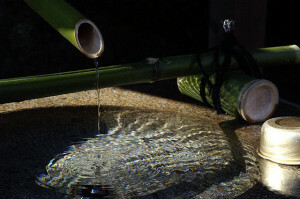 Nearly all sizable Japanese companies make use of an internal corporate form called a “ringisho.” A ringisho is a document that summarizes and explains a particular corporate action, such as entering into an important contract, and is stamped with the approval of (usually) many corporate managers who each theoretically share responsibility for the decision. Producing the document takes time, and getting it stamped by various managers takes more time. An American company’s board of directors will generally delegate authority to a number of individuals to execute the final version of whatever contracts are needed for a particular transaction, but this kind of delegation is uncommon in Japan. It’s much more common to have a basically final version of the documents attached to a ringisho and then circulated for approval before the company executes the documents. This takes time, even when the company wants to move swiftly. The bottom line is that there are institutional constraints that restrict the speed at which large Japanese companies can move, and delays in negotiations may be entirely unrelated to negotiation tactics or strategy. A negotiator with deep Japan experience can help you determine when a delay on the part of your counterparty is standard procedure or instead part of a strategy to apply pressure. Myth #2: Japanese business communication is ambiguous and it’s impossible to know what people really mean. If there’s one persistent myth about Japanese business culture, it’s that people speak in vague terms and accordingly it’s impossible to understand what anyone is actually saying. This is, in a word, nonsense. The problem is that Americans and Japanese use different words, phrases and expressions to communicate the same ideas, which often results in miscommunication. Despite myths to the contrary, the meaning of Japanese words is often crystal clear, even during negotiations. The problem is not that Japanese are “vague and hard to understand” while Americans are “blunt and easy to understand.” The problem is that Americans and Japanese use different words, phrases and expressions to communicate the same ideas, which often results in miscommunication. Imagine an American who exclaims “There’s no way we can agree to that!” during heated negotiations and then turns around and concedes the point the very next day. I’ve seen this sort of behavior many times, but that’s not because Americans are “hard to understand.” Experienced American negotiators know that in most circumstances even outright rejection of an idea today does not necessarily take it off the table for discussion tomorrow. In contrast, in Japan this sort of exclamation would communicate to your counterparty that the idea is not only a true non-starter but also offensive and that you will be insulted by any further mention of it. Let’s look at a basic example from the Japanese perspective. Consider the word “muzukashii,” which means “difficult” in ordinary conversation. In a negotiation, this word has basically the same meaning as “no” in English. If a Japanese businessperson tells you that your proposal “would be difficult,” she is almost certainly rejecting the idea, full stop. But in Japan everyone with any negotiation experience already understands this, so the word is not at all vague. It’s crystal clear! Of course Japanese negotiators can be vague when they want to be vague, just like negotiators everywhere else. Of course Japanese negotiators can be vague when they want to be vague, just like negotiators everywhere else. In negotiation among Americans, “let us circle up on that internally and get back to you” can express genuine interest or complete disinterest depending on the person and the context. Similarly, I’ve been involved in negotiations in Japan where the counterparty said they were going to consider my proposal internally and never contacted me again, as well as negotiations where the counterparty said they were going to consider my proposal internally and came back a week later with a reasonable counteroffer. Whether such a response is positive or negative depends on the person, the tone, and the progress of negotiations so far. Except for intentional ambiguity, Japanese business communication is usually clear, but the right experience and language skills are necessary to fully capture the meaning. Myth #3: Japanese executives will be horrified if you commit even the slightest breach of business etiquette. Having travelled halfway around the world from New York, an exhausted American businessman enters a meeting room where his Japanese counterparts await his arrival. The parties are prepared to discuss a proposal for a massive distribution arrangement worth tens of millions of dollars. The American doesn’t notice his hosts motioning for him to sit in the designated guest’s seat across the table and he instead plops down in a chair by the door. The Japanese executives, mouths agape, silently leave the room and are never seen again. The American returns to New York empty-handed. Sound far-fetched? It should, because stories like this are complete fiction. Good business managers in Japan, just like good business managers in other countries, don’t reject promising business opportunities for inconsequential reasons. Good business managers in Japan, just like good business managers in other countries, don’t reject promising business opportunities for inconsequential reasons. You’re not going to blow up a deal by sitting in the wrong chair, fumbling your business card, or refusing to eat octopus. The other party is going to be much more interested in whether you’re reasonable, proposing something with mutual value, and appear to be a promising long-term business partner. That said, making an effort to follow Japanese customs can be very helpful because it can indicate that you’re empathic and likely to take your counterparty’s point of view seriously going forward. You can make a good impression without going to extreme lengths. A few words in Japanese, an appropriate gift, and a brief mention of sports news or other noncontroversial current events in Japan will usually go a long way. Nonetheless, making an effort to follow Japanese customs can be very helpful because it can indicate that you’re empathic and likely to take your counterparty’s point of view seriously going forward. Just as a competent American executive isn’t going to torpedo a business deal because she doesn’t like your haircut, the average Japanese executive is not going to kick you to the curb for making a small, innocent mistake. Myth #4: Excessive drinking is mandatory when you go out with your Japanese business partners. A night out with your Japanese business partners doesn’t need to be soaked in booze (unless you want it to be). 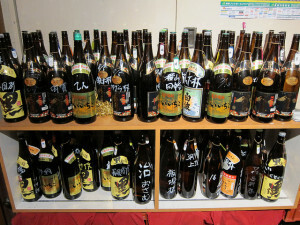 There’s no question that alcohol lubricates many business relationships in Japan. But foreign visitors are by and large exempt from the social pressures and expectations that Japanese face when offered a drink by a superior or potential client. If you’re a foreigner, declining a drink is usually just not that big a deal. A Tokyo business school professor and former Japan-based corporate executive I interviewed last month also identified this point as one of the rules in Japan that foreigners are free to break: “You don’t have to drink much, as long as you’re jolly.” After-hours drinking is seen as an important opportunity to unwind and socialize in Japan, so being approachable and fun will help you make a good impression, but you won’t offend people if you politely decline alcohol. After-hours drinking is seen as an important opportunity to unwind and socialize in Japan, so being approachable and fun will help you make a good impression, but you won’t offend people if you politely decline alcohol. Japanese custom requires that your hosts refill your glass when you get low on alcohol, so if you keep draining your glass you may feel obligated to drink more and more as your glass is continuously refilled. Your hosts aren’t doing this because they want you to drink a lot but rather because it would be impolite for them to make you refill your own glass. If you want to drink less, slowly sipping your drink will help reduce the number of refills. Myth #5: If you greet a Japanese with a handshake instead of a bow he will be shocked and embarrassed. This one is particularly ridiculous, but I’ve seen this provided as “advice” as recently as last week so it’s worth including here. Maybe this was true many decades ago, but these days this is roughly equivalent to a self-proclaimed “American business expert” in Japan declaring that all Americans are disgusted by raw fish and will be horrified if taken out for sushi. Many Japanese, including relatively senior people at large companies, have years of experience living abroad and are perfectly comfortable shaking hands. A few weeks ago I spoke with a senior American executive who has a decades-long and extremely successful relationship with a major Japanese manufacturer. He said that he hugs his business partners when he meets them again after a long absence. I don’t recommend this approach because it will make many people uncomfortable, but I do know plenty of Japanese executives who delight in opportunities to sidestep traditional business etiquette and it’s not hard to imagine how the right person could successfully pull off such a greeting. The takeaway is that you should not be afraid to shake hands in lieu of bowing and generally act how you would with an American business partner (who you value and respect, of course) if your counterparty encourages you to do so. So how can you maximize your success when negotiating with Japanese? Tokyo Nexus is here to help you achieve the best results possible from negotiations with Japanese. There are too many specifics to address in a single blog post, but as a guiding principle, you should try to project an image of reliability, empathy, and reasonableness. Japanese business partnerships are generally enduring and it is virtually inconceivable that a business partner would threaten—let alone commence—litigation to resolve a business dispute. Accordingly, demonstrating that you are reasonable and willing to listen to your counterparty’s concerns is an important means of signaling that you will be flexible and cooperative in the future when new issues arise and you and your partner must inevitably compromise on some difference of opinion. Demonstrating that you are reasonable and willing to listen to your counterparty’s concerns is an important means of signaling that you will be flexible and cooperative in the future when new issues arise and you and your partner must inevitably compromise on some difference of opinion. But at the end of the day there is no substitute for having an experienced, bilingual negotiator on your team to guide you through the process and smooth communication between you and your counterparty. With full Japanese-English bilingual capabilities and years of negotiation experience, this is an ideal role for Tokyo Nexus. To discuss a potential engagement you can reach us at info@tknexus.com or by phone using the information on our contact page. More information about our service offerings is available on our services page. 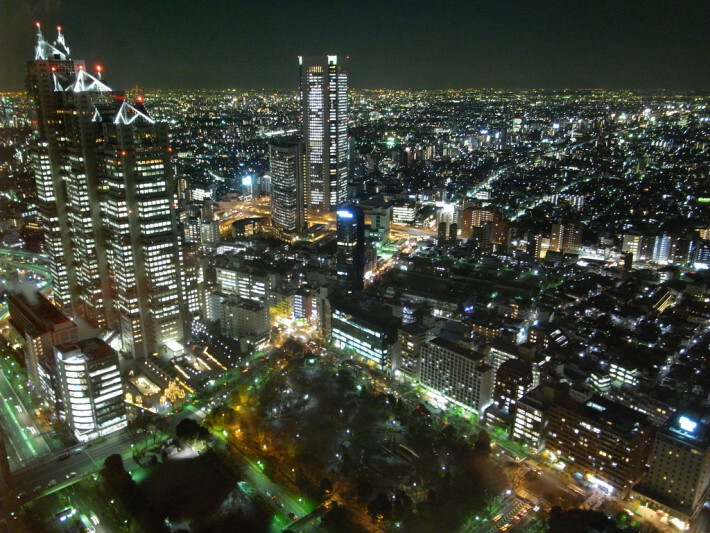 Tokyo Nexus is not a law firm and does not provide legal advice or legal services of any type.